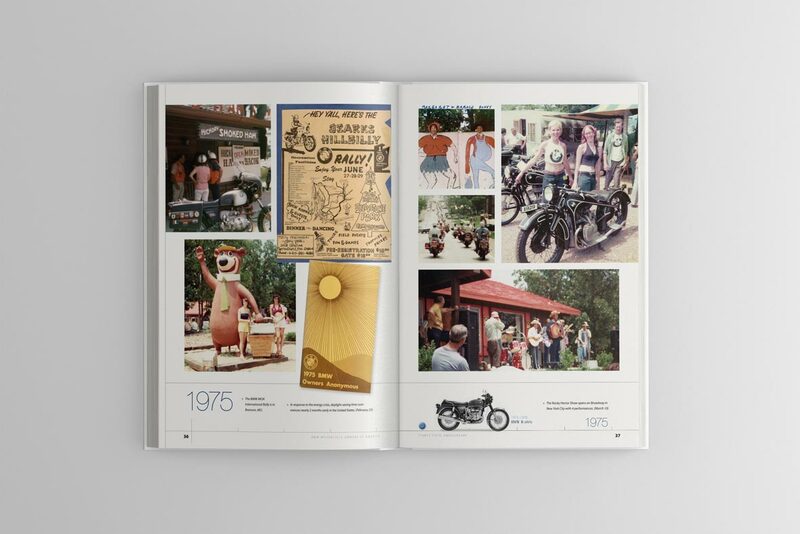 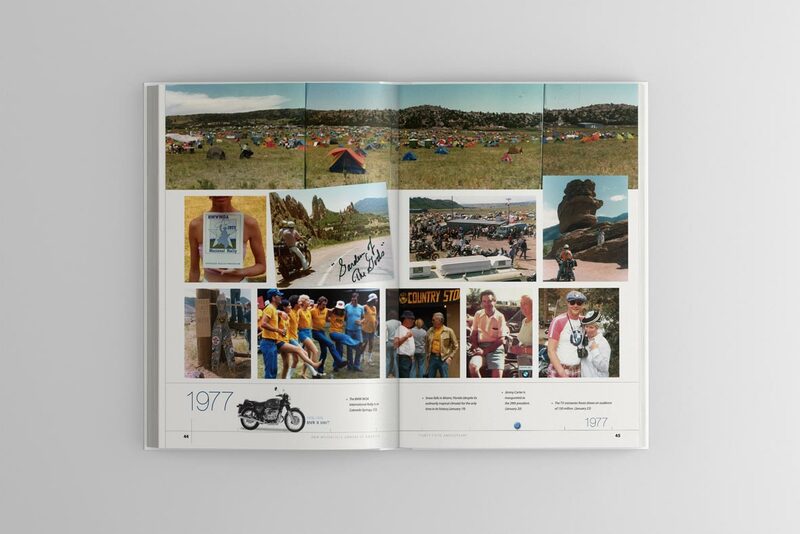 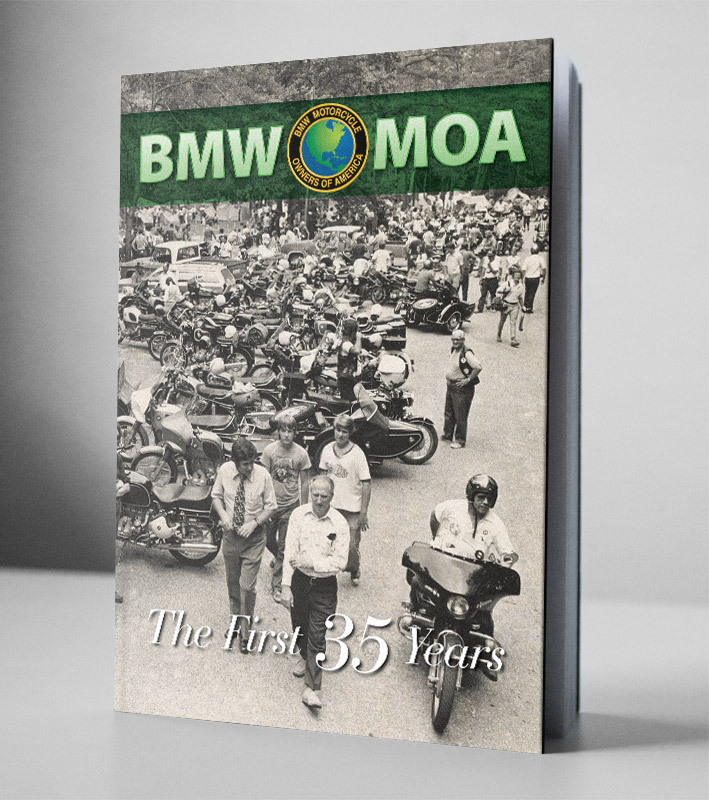 To commemorate their 35th anniversary, the BMW Motorcycle Owners of America commissioned a 240-page, full-color coffee table book of their history. 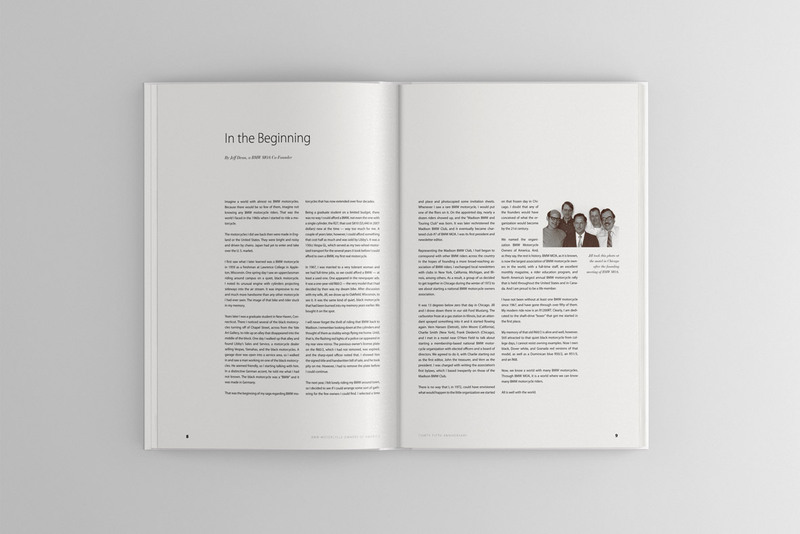 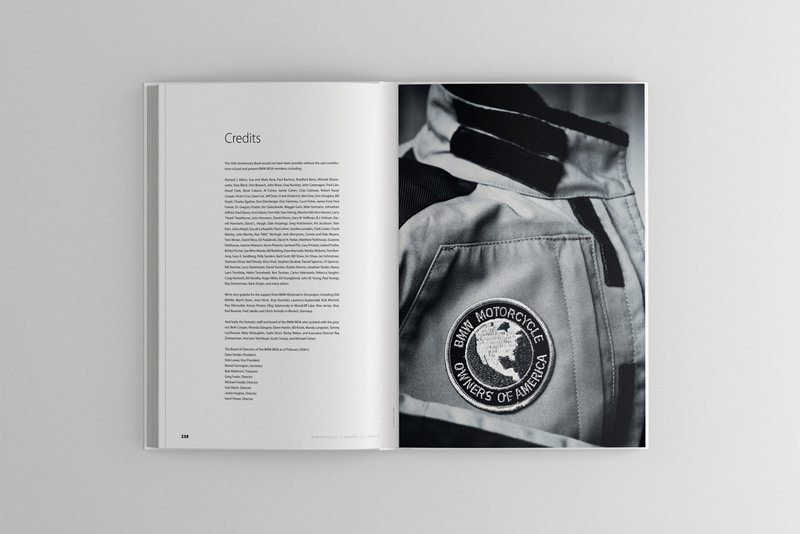 It features scanned covers and article pages from their previous publications as well as photographs submitted by the membership. 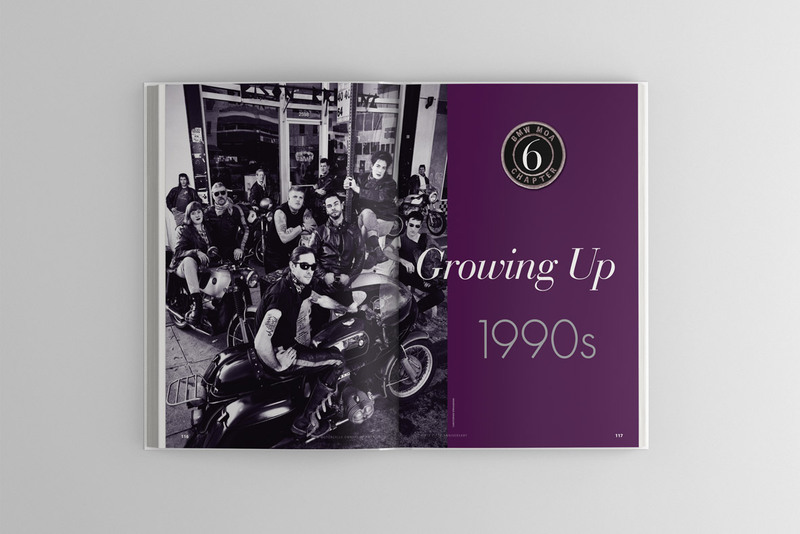 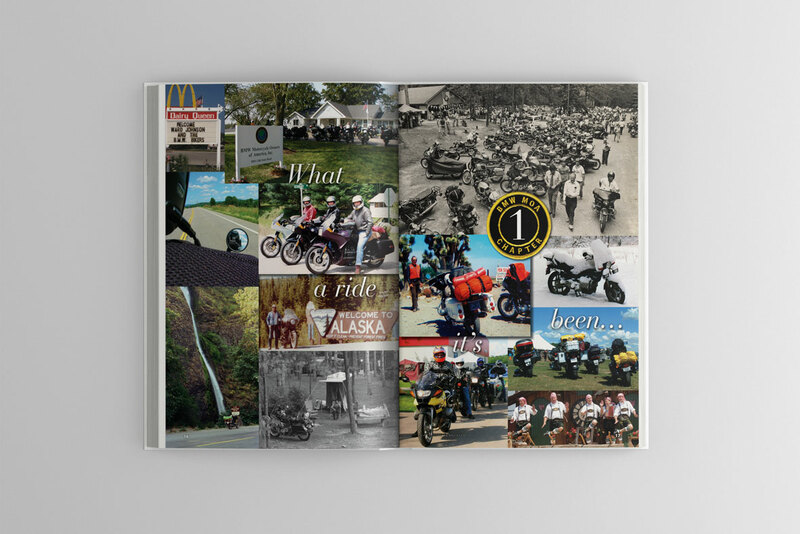 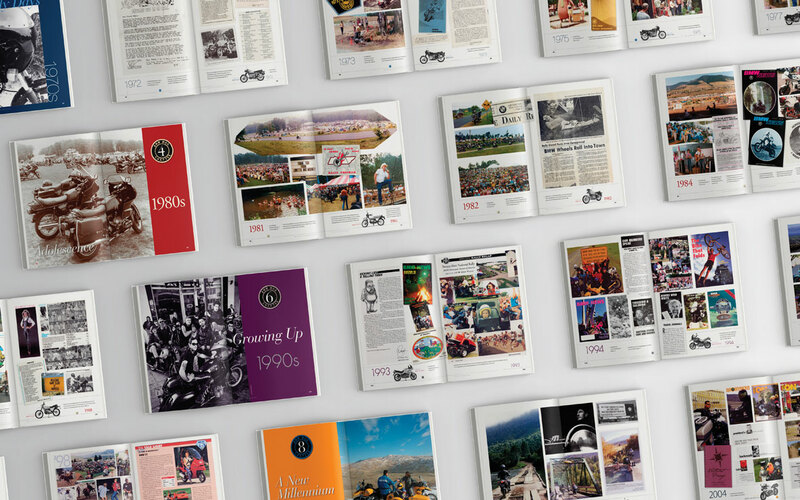 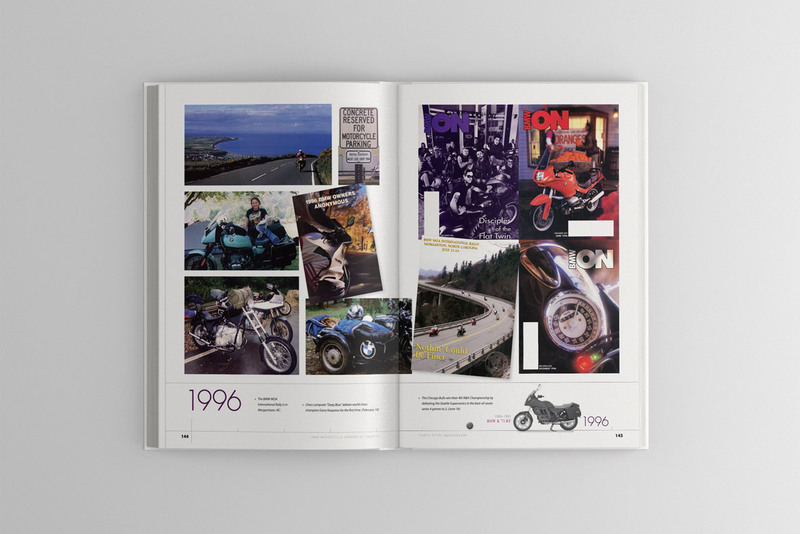 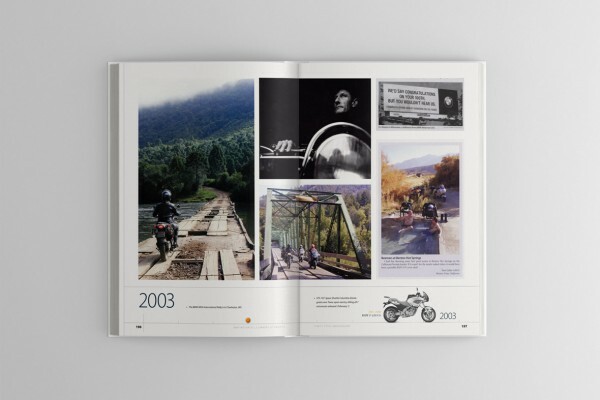 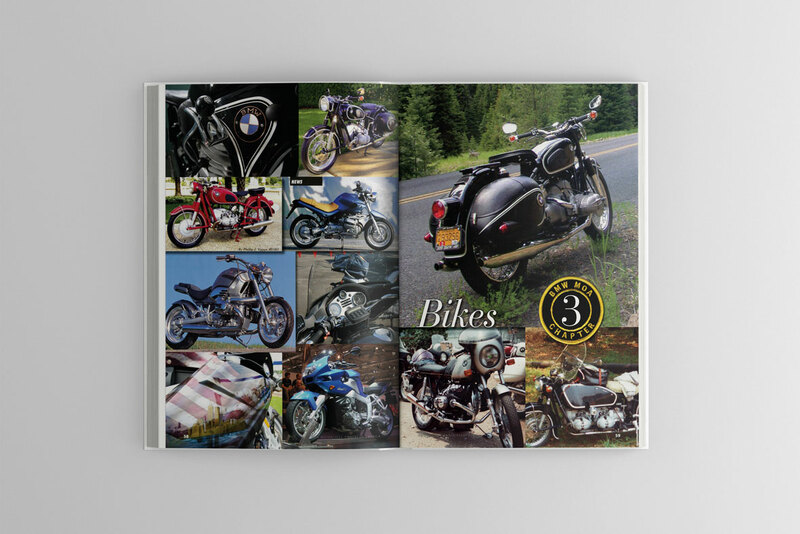 The images were arranged in a scrapbook design with a timeline along the bottom of the pages, which includes association moments, wider historical events and pictures of BMW motorcycles which were manufactured at the time. 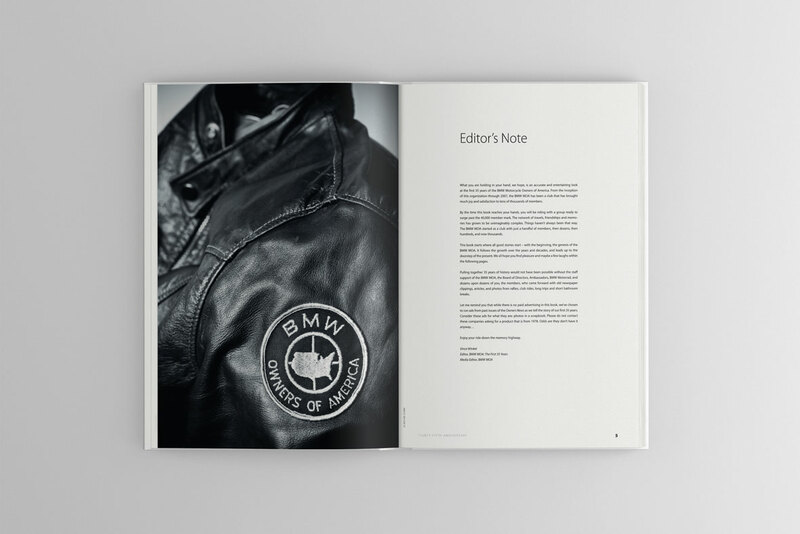 Morr Art also supplied the full-page photographs of past and current association logo patches on motorcycle jackets that start and end the book.